www.CatScratchingPosts.com.au is Australias leading supplier of cat scratchers. Cat Scrathing Posts, Cat Scratchers, Cat Furniture, Cat Trees. 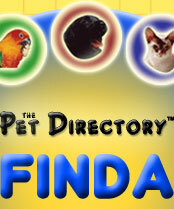 Product Directory Inside you'll find a wide variety of plush animals and most pet products. Please feel welcome to contact us if there is a particular product that you'd like us to source for you. Payments can be made using credit card or EFTPOS. For all your pet supply needs. Brand New to Queensland! Your new favourite online Pet Store! Everything you need for your best mate. Flea, tick, Frontline, Arisotpet, aquamaster, cat lover, advantix, advantage, sentinel, interceptor, heartgard, revolution, rabbits, dogs, cats, fish, aquarium, marine, reptiles. CRITTER COTTAGE stocks an exciting range of innovative, unique and unusual pet supplies for your dogs and cats. Unique pet products and accessories for discerning dogs and cats. Great selection and discount prices for all the pet products and pet supplies that you need. We carry Doggles, catnip products, cat toys, dog toys, Petsafe products, WizDog, plus much more. The Pet Zympatico brand of fun, functional and fashionable dog apparel and bedding is designed and made in Sydney, Australia. We pride ourselves on quality design and workmanship with bedding styles and fabrics to complement your home décor while fulfilling the health and comfort needs of your pets. Apart from our own ranges, the Pet Zympatico Pet Boutique also offers a wide variety of pet accessories and urban pet essentials from other designers including dog jackets, vests and dresses; dog boots and shoes; Doggles eyewear; hats and caps; dog and cat collars, harnesses and leads; dog and cat toys; dog and cat dinnerware and bowls; pet carriers; natural health care; travel and safety gear; pet lover giftware, etc. At Pet Zympatico we place a high value on our customer relationships and provide personal service. We offer a generous loyalty program and a ‘no questions asked’ exchange/refund policy plus a monthly newsletter. Postage on all orders delivered within Australia is kept to a low, flat $9.50. Handmade cat collars, organic treats, biodegradable litter pan liners, and much more! Peninsula Pet Supplies is your ultimate online pet superstore! We stock an extensive range of quality brand pet supplies at affordable prices! One of the many benefits of shopping with us is that the business is owned and operated by a qualified and experienced veterinary nurse who can give pet care advice and product recommendations to suit your pets individual needs. Visit our online store and click on the icon for free pet care or product advice. Welcome to Pampered Cats Playground- Our Online Pet Supplies Shop specialising in supplies for your cat. View our selection of cat products, including cat toys, accessories, grooming products, collars and leads, lint rollers, food bowls, water fountains, sofa beds and catnappers. Plus much more. Try us for all your cat needs. Online pet store that sells pet treats, toys, leads and collars, bedding and health products. We ship Australia wide. Unique personalised keepsakes for all pet lovers. Our products are ideal for:- capturing your new kitten whilst young, remembering your older cat in their mature years, unwell pets who may not be with us for much longer. Great gift idea. Memories of Today - A treasure for the Future. Trendy pet fashions: pet apparel,jewelry, luxury pet accessories, and whimsical pet beds. Visit our wardrobe of trend driven pet clothes, designer pet clothes, sweaters, hand-crocheted sweaters, limited edition cashmere, apparel and accessories. Clothes for fashionable pets! Pet jewelry, and accessories all online. Stylish pet carriers coming soon. Online Pet Shop selling pet accessories. See us for cat scratching solutions,Litter Kwitter, jewelled, plain and safety collars, jewellery and toys. Puppia, PCS, Snooza, Omega Paw, Litter Kwitter, scratching, catnip, scratch cardboard, jewellery, collars, charms, pendants, letters, crystal, rhinestones, toys. Prestige pet products for your feline friend. Lets face it; cats will go their own way. No matter which way they are heading, our range of smart and sassy pet cat accessories will have your feline looking and feeling great! Browse our range of beautiful all natural cat toys, along with cat collars and cosy cat beds to find the purrfect gift for your companion. Do you want an online store that cares for your pet? Buy from a store that operates as a 'real' pet store - a store that knows their products & takes the time to understand what you need and what your pet needs. We know what works and what doesn't - because our customers tell us. Pets Unleashed operates a Retail Store in Morningside, Brisbane. We pride ourselves on offering Quality, Healthy & Fun pet products. Postage from just $1 Australia-wide!! We accept payment via Credit Card, via Phone, Money Order, Cheque. Pampered Paws Pets Supplies Online is a family owned and operated business, based in the Macarthur region on the outskirts of Sydney, New South Wales. We are proud to offer Australian customers great deals on high quality pet products. Specialists in Dried Pet Treats and Clipper Products and Accessories. We pride ourselves on the quality of the product we sell and the high standard of service we give. Everything you need for your best friend. We give as many products as possible to our own pets to test. If the quality is not good enough they are not added to the store. You can be sure that our products provide excellent quality and value for money. Join the mailing list and receive a $10 voucher to use with your next order. Australia’s #1 leading online cat shop. Cat accessories shop for cat toys, cat scratchers, cat towers, cat wands, catnip, cat bowls, cat carriers online. Australian online cat shop. Get health treatments and medications for your cat at low prices. Flea and tick medications, joint health, milk replacer, antibiotics and more. Shipping is always free. Statues, Throws, Photo Frames, Key Rings and lots more! UNLEASH YOUR PETS HAPPY SIDE with items from our store. We carry over 15,000 products for dogs cats, birds, fish and small animals. Our goal is to provide our customers with the highest quality items for the lowest possible price. We pride ourselves on quality customer service. We know once you see the quality and durability of our products, you will tell all your friends. Visit our online store at www.bamspetstore.com. we have so many products that you will find something for your pet. No matter what pet you have! Suppliers of all your pet needs. Premium Food Brands, Toys, Beds, and much more. We cater for Cats, Dogs, Birds, Fish and other small pets. We pride ourselves on excellent customer service and are there to assist with all your queries. Bergan Pet Products offer active lifestyle solutions for your pet cats and dogs. This sleek toy provides hours of fun and exercise for you cat while reducing furniture damage due to scratching. Motion activated LED ball and catnip included. Scratch pad and LED ball replacements available. Assorted Pink & Teal. Shop Fetch & Go for all your pets desires. We are an online pet store with a wide range of pet products and accessories. Everything from pet toys, pet clothing, pet organic food, pet bowls and the list goes on. Put simply, if you don't see it on our website just ask the question. We will partner up and try to fetch it for you. We are your one stop pet shop that delivers direct to your door and all at great prices. You will discover there is no need to look elsewhere we are here to help. We will always take the extra step to keep our customers and their pets happy. Supplying pet products from the East Coast to the West. Using funky fabrics and trims we create pet collars and accessories. Our collars are fashionable and functional. We use high quality fabrics and hardware to make our creations. All of our collars are lovingly handmade with new fabrics. We use durable hardware that secures easily into place. Breakaway buckles are specially designed for cats. If their collar catches on something, the cat's twisting or struggling action causes the buckle to open, freeing the cat. Our fabrics are all washable. We use curved collar hardware that contours to you cats neckline and ensure that all ends are finished on the outside of the collar making for no scratchy ends on your little critters neck. The inspiration for Prèt à pawte -- ready to wear pet accessories -- was my cat Alvin, I adopted from the Cat Protection Society in 2008. Being a modern cat Alvin wasn't interested in the usual cat collars with all their flashy diamantes and additional bling. Alvin is very NOW in his funky, handcrafted fabric collars and wanted to share his style with the world. A bizarre selection of pet products at competitive market prices. TSCpets is the one stop shop for cat medication and cat supplies, including Frontline flea and tick control, Kittywalk enclosures, cat condos, and more. Advantix Comfortis Frontline Plus Nexgard Hills Prescription Diet Ivory Coat Ziwipeak. SturdiProducts, Inc. is a Washington State Corporation specializing in the manufacture and distribution of travel oriented pet care products. For years, SturdiProducts has proven itself in the pet industry with it's incomparable line of pet carriers and pet shelters. Trusted worldwide, the SturdiProducts line is endorsed by the best names in pet care products. You care about your pets and so do we. We have an extensive range of only the best for our pet products for every occasion and every breed and size of dog or cat. Skin Care - does your cat or dog suffer with sensitive skin? We have a shampoo available that available for all skin types. We will be introducing more in the ECOPETS TOTAL SKINCARE line once available from next year some time. Accessories - Great ranges of Pet Beds, Dog & Cat Collars, Dog Bowls, Dog Clothes, Car Seat Cover and more! We encourage you take a look around our website. We have taken a lot time in sourcing only quality merchandise and food products which will make shopping a breeze for you and provide years of fun and stimulation. Oscar & Lulu specialise in luxury dog beds. At Oscar & Lulu we believe that dog beds should not only provide optimal comfort for your four legged friends, but also complement your homes interior. Oscar & Lulu's luxurious dog beds are made from hand picked fabrics from around the world. Our exquisite ranges are solely designed and made here in Australia, from the best quality materials - making them more durable and longer lasting. They are a stunning addition to the home. From dresses to joggers, t-shirts to beach wear, vitamins to toys, beds to blankets, you’ll find everything you need at Pets Palace to really spoil your four legged loved ones or to give as gifts. Pets Palace Australia only stocks the highest quality products, we offer a 100% money back guarantee, fast shipping, 24 hour shopping, and a low $10 flat rate postage, Australia wide. If you live overseas not a problem we deliver all around the world, we offer competitive shipping rates and with a currency converter and shipping calculator in our shopping cart you will be able to check the exchange rates and your postage charges when you checkout. Vet Pet Health is the most trusted and lowest priced pet store that is owned and run by qualified & professional Veterinary Nurses. Best value around for cat meds. We will always answer any questions you may have before you purchase an item so you know exactly what you need to buy. Trust who you buy from for all your dog, cat or horse pet needs. We sell all high quality medical supplies and flea & worm treatments at the lowest prices. Save up to $30.00 off Frontline Plus, Sentinel Spectrum, Interceptor, Advantage, Advocate, Milbemax, Equest Plus, Ammo, Grooming Products and all First Aid Supplies. Our pets are our family and we all want to get them the best products and now you can afford the best quality at a lower price! Barking Good proudly stock the range of Natural Animal Solutions made by an animal Naturopath that will assist to keep your cat healthy. Products include omega oils, ear & eye clear, calm, natural shampoo and conditioner, supplements, natural flea powder, as well as a complete range to assist with itchy skin, arthritis, infections, pre & post surgery and much, much more. Please feel free to contact us for more information. Krazy For Pets offers eco-friendly pet products, grain free and organic treats, pet spa items, pet ID tags, collars, leashed and more. Offering secure online ordering for all dog/cat flea & tick and heartworm! Jenvin Emporium has Cat Breed T-Shirts, Cat Breed Tote Bags, Cat Breed Mugs, Cat Throws, Cat Ornaments and soon, Cat Breed Jewellery. We also have a range of merchandise that we can put your Cat Photos onto. Why not have a look at what we can offer you. Bringing the pet shop right to your home! We have all things pet for your beloved family member/s From wet and dry food to kennels, beds, collars, bowls, leads, harnesses, toys, carriers, cat scratch posts, flea, tick and worm treatments. We also stock novelty clothing and shoe items for your pets and have some items you just wont see at your local pet chain store. Come in and give us a try. We even bargain* to get your business. Free* delivery on the Gold Coast - in most cases the very next business day!! Pet food, dried dog food, dried cat food, flea products, tick products, worming treatments, collars, leads, dog and cat harnesses, bowls, bedding, dog toys, cat toys, bird cages,bird accessories, fish tanks, fish accessories, small animal products. Online pharmacy MedicAnimal offers free shipping on high-quality pet supplies, pet accessories & pet medications (prescription/non-prescription). Delivers pet health & well being direct to your door. Providing care with a conscience, MedicAnimal offers premium pet care at affordable prices. Fast, friendly service & cost savings on 1000s of high quality products: Royal Canin foods, Hills Prescription Diet, Frontline, Drontal, more! Your One Stop Online Pet Shop! Selling dog food, cat food, bird food in fact all types of pet food, health products, supplements and accessories just to name a few. We cater for many types of pets including dogs, cats, horses, reptiles, birds, poultry, rabbits, guinea pigs and greyhounds. Like you, we adore our pets and care about their health and their long term nutritional needs to give them the best in life. We know that good nutrition can help make the world of difference to us, but it is just as important for your pets long term health and happiness too. Therefore we want to help pet owners like yourself achieve this by delivering premium quality products that really do make a difference to your pet and most importantly at an affordable price, genuinely saving you time and money. Quality and Savings...... We Deliver Both! On our website we have invested a great deal of time to give you as much detail as possible about the products before you purchase them. You will find loads of information regarding not only the health and nutritional benefits regarding each product, but also info about health treatments and accessories beneficial to your pet. We believe this will not only assist you to make an informed decision, but also help save you time and money when comparing products for your pets specific needs. If you're uncertain as to whether a product is suitable for your pets welfare, always consult with your Local Qualified Veterinarian. With our True BusinessID® + EV SSL Certificate your will see the green browser address bar to demonstrate you have reached a highly authenticated site when used with next-generation browsers. This enhanced interface feature immediately assures you that you are on a secure web site and not on a fraudulent one. All our orders are shipped using Australia Post eParcel Service. This service is unlike traditional postage as all items are uniquely barcoded for secure tracking of your purchase. If no one is present when Australia Post eParcel attempts delivery, they will either leave your consignment in a safe place or leave a calling card and make the consignment available for collection from a nearby Australia Post retail outlet, according to your preference when purchasing your product. Breeders Choice Cat Litter Delivered FREE across Sydney and surrounding suburbs. FROM $18.75 for 30litre bags Delivered FREE. With a great range of products from a wide range of well known brands such as, Felidae, Hills Science Diet, Eukanuba, Iams, Whiskas, Royal Canin, Advance, Pro Plan & more, you will be sure to find the perfect treat for your beloved pets. With fast and accurate order placement and helpful service from our friendly staff you'll never be disappointed with what SydneyDogFood.com.au has to offer. Everything from nose to tail. For all your pet needs, plus quality advice... "Petwise has the answer!" Brisbane's best range of pet food and pet health products. Free Petwise Club and advice kiosk. Large range of fresh meat & cat accessories. Kittens always available. Prices start from $30. Quality toys & Accessories. Open 7 days a week. "Come In! We know your pets like the back of our paws!" At Pets Unleashed we believe all pets should have access to quality, healthy & fun pet products. That's why, as well as from our retail store in Morningside, Brisbane, we now offer a range of our favourite pet supplies and accessories online. We believe our job is to help pet owners find the right pet products for every situation. Our pet supplies & pet accessories are especially chosen to help you make the right choices - whether it's switching to a healthier & more natural diet; finding the right training aid; choosing an organic or herbal alternative; training your pet; selecting that perfect dog or cat bed; or simply finding a fun & interactive new toy. Live pets now in stock - we sell a range of live animals (sorry, no puppies or kittens) - reptiles, guinea pigs, mice, fish (tropical, goldfish, cichlids), hermit crabs, turtles, stick insects. We also offer a hydrobath service on Saturdays between 8:30am and 4pm & Sundays between 9.30am and 12.30pm. We're open 7 days a week. You and your pets are welcome to come and have a look around. Premium fresh meat delivered daily and processed on premises. Premium dry foods. Quality accessories, bedding and pharmaceuticals. Est. 1952. Professional and friendly advice and service. Vet on the premises. Need Help with Cats? Need a new pet companion? You need to ring us NOW! The one stop pet shop for all your pet's supplies. We don't sell livestock but we do sell all pet foods and accessories. Stop in for expert advice and assistance. Pets & accessories * Aquatics * Pet sitting * Grooming – DIY dog bathing * Boarding (small animals) Maintaining animal health with quality pet accessories, food & grooming service. Everything for your best friend. Toys, scratchpoles & beds. Eukanuba, Iams, Nutrience & organic food (Baliz) fresh meat. Hand raised birds, rabbits, fish and premium dog foods. Flea and tick treatments. For all your pet requirements! Rabbits, Guinea Pigs, Dogs, Cats, Mice, Rats and a huge range of petfoods. Puppies, Birds, Fish, Rabbits, Guinea Pigs. All accessories including aquarium tanks, bird cages and a full range of dog and cat accessories. Ring for some expert advice. Fresh Meat, Animal Supplies & Grooming. The home of happy pets and all they could want. Birds, fish, rabbits, puppies. Great range of bird seed and accessories including cages, breeding boxes and toys. Wide range of birds including hand-raised and exotics. Extensive range of bird accessories including bulk seeds, cages, boxes, toys. Reptile equipment. Medications, shampoos, live reptile food and so much more! Unbeatable prices on asquarium setups, tropical & cold water fish, birds, cages, pet food & accessories. Large range of accessories for your pets. Puppies, kittens, birds, spiders & scorpions. Fresh & frozen meats. Marine & fish tanks, cold water, tropical & marine fish. If you have bought a bird from us and planning to go on holidays ... we will mind your pet whilst your away. Lay-bys welcome! Friendly, professional service for complete pet, aviary and aquarium care. Enquiries welocme. Pets great & small. Large range of cold water, tropical & marine fish + all your aquarium needs and accessories. Variety of birds ~ native & foreign. For all your pet care needs and Pharmaceuticals. Your local pet people - A wide range of knowledge and pet products. We sell puppies & kittens plus all thier accessories including beds, jackets and Royal Canin dry food. * Huge range of fish and fish tanks. * Friendly advice from a family business. * Vaughan, Mac, Dot and the team will help with any of you needs. Hours Monday - Friday, 9.15 - 5.30, Sat 9 - 1.30. Department Store for Pets, including fresh meat sales & a full range of dry foods. Wide range of pet accessories & premium foods. Dog, Cat, Bird, Fish, Reptiles, Guinea Pigs, Rat / Mice. Professional Grooming. We are also registered breeders of labradors. Phone: (07) 5571 7630 - 3/320 Olsen Ave Parkwood QLD - OPEN 7 DAYS - VISIT OUR SHOP TODAY! Fish, Puppies, Kittens, Birds, Small Animals & Reptiles. All pet accessories. Large varieties of birds. "You'll be amazed at our prices!" Byron Bay Pets and Produce has become a major supplier of bulk pet foods and supplies and has become known in the area for its expertise in freshwater fish. At Byron Bay Pets & Produce we stock a wide variety of birds - finches, canaries, budgies, cockatiels, lorikeets, bourkes parrots, ring necks, alexandrines and galahs, cats - moggies and purebred, dogs - crosses and purebred, rabbits, guinea pigs, rats and mice. We also stock a wide variety of freshwater fish - tropical, cold water, African and American cichlids and with marine aquarium keeping becoming more popular we have setup a marine aquarium in store for display purposes and are able to supply most marine aquarium equipment and a variety of marine fish species. As well as the animals we stock a wide variety of animal toys, treats and food. Of the dog and cat food we stock we have the premium brands of Hills Science Diet, Eukanuba, Eaglepack, organic Natural Balance, Nutrience, B.A.R.F and IAMS cat foods, along with Scotty's and Natures Own rolls, Highland fresh and frozen pet meat. If you have any questions about your pet the staff of Byron Bay Pets and Produce are only to happy to help answer them or provide advice on which pet would be best suited and how to look after your pet. Byron Bay Pets and Produce staff are here to promote responsible ownership of pets and would like you to be able to make an informed decision on which pet is suited to you, as it is a lifetime decision, maybe not yours but certainly your pets. Come on in and for our regular customers ask us about our Purrfect Pet Club or Aquarium Club membership. We hope that you take the time to come and visit us at the shop and enjoy your pet experience. Servicing: Byron Bay - north south east west | Broken Head | Ewingsdale | Myocum | Skinners Shoot | Suffolk Park | Talofa Tyagarah | Brunswick Heads | Mullumbimby | Lennox Head | Tintenbar and surrounding southern and northern eastern and western areas. Boutique pet store, veterinary owned and operated, extensive range of pets and pet accessories. Pet Food and Accessories. Fresh and Frozen Meats. Dog Raws. Full range of pet supplies! Specialising in pets, pet accessories and produce. Visit us in the big green shed at 399 Yaamba Road, North Rockhamton, Queensland. Huge range of birds, fish and reptiles. Bringing People & Pets Together. The largest range of pets & accessories under one roof... Specialising in assistance with your pet's problems! For all of your pet and pet related products come and visit the crew at Krazy Kritters or email us. We have a huge range of pets in store including puppies, kittens, rabbits, guinea pigs, chickens, birds, tropical fish, goldfish, cold water fish, native fish, cichlids, aquarium snails, rats, mice, ferrets, hermit crabs and now reptiles and amphibians, as well as live food and aquarium plants. We also stock a full range of accessories for your pets. Dogs, Cats, Birds, Aquarium & Reptiles. Hydrobath & Boarding services available. Enquiries welcome. Pets & Pet Products. Expert advice and friendly service. Puppies, Kittens, Fish, Birds, Small Animals and all foods and accessories. Located near Kmart. We welcome our old and new customers to our brand new store at Pets-R-Us Noosaville. We sell pets and all their needs. We have adorable puppies, kittens, hand reared cockatiels, budgies and other parrots. Aquarium fish including fresh water tropicals like African (RiftLake) Cichlids, Albino, Bronze Corydoras, Angel Fish, Barbs, Discus, Gourami, Killifish, Neons, Catfish, Platy, Tetra, Siamese Fighting Fish (Betta), Silver Dollar, Sucking Catfish, Yabbies, Zebra Danio plus all the rest. We also stock a gorgeous range of cold water ornamental goldfish. Everything for your pet’s care! Ipswich Pet & Aquarium stock all you pet needs from food, bedding, toys etc. Come on in for expert advise and quality service. We sell birds, fish and general foods and accessories for most pets. Premium foods, extreme toys and we do professional dog grooming. Echo Pets Fresh meats and sausages and Royal Canin dog and cat foods. We recommend VCA breeders for puppies and FCC breeders for kittens. See David, Kathleen or our friendly staff for all your pet care needs! * Expert pet care * friendly service & advise. We stock a range of fresh meats, premium dog & cat dry food, bird seeds etc. We stock a wide range of accessories plus Aristopet products for cats, dogs and birds. Offer hydrobathing and grooming services. Dogs, cat, bird, fish, rodents. Mackay Pet Super Store PTY LTD is a Pet Retail Store specialising in: Domestic pets e.g. dogs and cats (pure and cross-bred) and their accessories. Fish and aquarium accessories, small animals reptiles, bulk dog/cat food and bulk produce, dog washing and free pet advisory service. Wide range of pet supplies & accessories. Friendly advice and service. A wide range of cat accessories and food. Easy parking. cat toys, cats food, kitten food, kitten toys accessories, collars, leads, bells, mice toys, cat stands. Royal Canin, Aristopet. Pet Select Animal Supplies sell everything from fresh pet meat, premium pet food such as Royal Canin and Eukanuba, bulk birdseed and feed for chickens. We have a full range of accessories as well as aquariums, reptile products, live fish and much more. We also have a full range flea and worm products to keep your pet in peak condition and a large range bedding, toys and dog kennels. Dogs, cats, rabbits, guinea pigs and a wide variety of birds including Indian Ringnecks, Cockatiels, Budgies, Finches, Peachfaces, Canaries, Rosellas, Bourkes, Redrumps, Quails and Lorikeets. Scales & Furry Tails Chooks, Silky Bantams and Chickens Tropical and Cold Water Fish and tanks, filters, heaters, decorations, stands, food, medications, and water treatments. Bird and small animal cages and accessories. Catering to all your pet Requirements. Fish, Birds, Dogs, Cats, Reptiles, Horses & Small Animals. We have one of Australia’s largest and greatest variety of puppies in store to choose from. We also have bunnies, rats, mice, cats, rabbits, hermit crabs, fish and more. Come See!!! A variety of fresh mince and pieces prepared daily. Dog and Cat treats: Biscuits. Collars, leads beds & other dog & cat accessories. Fresh mince, camel steaks, beef steaks, roo tails, brisket bones, marrow bones, meat pieces. Supplying all natural, organic and holistic pet foods and products. For all your pet's needs and quality grooming! Whether you have a dog or cat or exotic bird or snake, no matter what pets and other animals, we are the pet care and pet information centre for you. Keeping your four-legged family members happy and healthy Laundrymutt is a family business with over 20 years in the pet industry. Centrally located at 419 Bridge Road Richmond, we have a huge range of the latest products designed to promote happy, healthy cats and dogs. From toys to treats, kennels to cuisine, apparel to accessories, beds to brushes, we believe our range is second to none. Come and experience the fun and friendly atmosphere of the Laundrymutt DIY dog wash. Or let our experienced, professional groomers do it all for you. You can call us to make an appointment or call in to see us and experience our caring, professional service first hand. Quality goods at reasonable prices for dogs, cats, birds, aquarium, small animals and reptiles. Canine, Feline, Bird & Poultry, Fish & Reptile, Small Animal and Equine. If you’re looking for anything for your feline friend we will have it here. We stock a massive range of products to look after and spoil your kitten or cats. Grooming products such as dry & wet Shampoos, Powders ect. At Everything For Pets we have a wide range of pet products and accessories as well as PETS! PUPPIES, KITTENS, BIRDS, FISH, GUINEA PIGS, RABBITS, RATS & MICE. Live foods for reptiles. Foods and treats for all pets. Bring in your dog or cat for a complete grooming service including washing, grooming, clipping and attention to ears, eyes, and hygiene areas. Nails professionally clipped. Come on in and check out our pets and products. Helpful service and expert advice for your pets. Come in and talk to us about your pets. We have over 20 years experience in the pet industry. Stocking the best premium dog and cat food brands such as Royal Canin, and only the best pet products such as Kong toys, Snooza pet beds, Shoo!TAG, and Prestige Pet Products. Our staff are very knowledgeable on pet care topics and are more than happy to assist your pet care requirements. If you are looking for a great pet shop in Melbourne, come in and visit us! Everything from nose to tail. For all your pet needs, plus quality advice... "Petwise has the answer!" Brisbane's best range of pet food and pet health products. Free Petwise Club and advice kiosk. Large range of food & cat accessories. We have a wonderful range of aquarium fish on display and all aquarium accessories, feeder fish, fish food. If we don't stock what you want we will order it in. Pet food for dogs, cats, birds, guinea pigs, fancy rats and mice, ferrets, rabbits, hermit crabs, stick insects, pet spiders and more. Servicing area: IPSWICH | KARANA DOWNS | BROOKFIELD | KHOLO | BELLBOWRIE | RIVERVIEW | BASIN POCKET | WARREGO HIGHWAY AREAS | BLACKSTONE | SILKSTONE | INDOOROOPILLY | GAILES | REDBANK PLAINS | BOOVAL | FLINDERS VIEW | YAMANTO | WOODEND | AMBERLEY & also these areas to north south east and west: Amberley Avoca Vale Banks Creek Barellan Point Belhaven Benarkin North Blackbutt Blackbutt North Blackbutt South Blacksoil Blackwall Borallon Cherry Creek Chuwar Colinton Deebing Heights Dundas England Creek Fairney View Fernvale Forest Glade Glamorgan Vale Googa Creek Goolman Haigslea Harlin Holts Hill Ironbark Karalee Karana Downs Karrabin Kholo Lake Manchester Lark Hill Linville Loamside Monsildale Moore Mount Binga Mount Crosby Mount Marrow Mount Stanley Muirlea Nukku Peak Crossing Pine Mountain Purga Ripley South Ripley Split Yard Creek Swanbank Taromeo Teelah Thagoona Vernor Walloon Wanora West Amberley Willowbank Wivenhoe Wivenhoe Pocket & southern, northern, eastern, western suburbs of BRISBANE. Visit Perfect Pets for the pet that is perfect for you! We have a great range of birds, puppies, kittens and other small pets available. We have all the accessories and foods that your pet will need. Come in and see the new products. Our staff can offer you expert advice on the care and purchase of your pet. Our store is located near Coffs Harbour NSW and now offer pets.com.au and offer a wide range of horse and pet products. Our products range from horse fly veils, rugsetc. to cat and dog flea, tick and worming products. Petcare 2000 Warehouse stocks a huge range of cat food and toys to keep your friend busy when you are away and he or she is lonely. Petcare 2000 Warehouse also cater for pet birds, reptiles, poultry, produce, aquarium furniture and accessories. We have cages that let trained birds fly around the house, as if they were free in the wild or sit on their owners shoulders, going back home to sleep on their perch in their cage at nightfall. We also stock medicines for most minor problems. We can provide reptiles with fresh or frozen food that can replicate what they would eat in their wild state. Our policy is. ”If we don’t have it we will try to source it for you”. P & K Pets caters for all your pet requirements and is one of the largest pet shops in Adelaide (South Australia) - the first and only pet store in South Australia accredited by our leading body PIAA(Pet Industry Association of Australia). We have a large range of cute and unusual companion pets available and we carry all the products and accessories you could ever need to properly care for and maintain your pets. Huge range of premium dog and cat foods: Hills Science Diet, Pedigree and Whiskas Advance, Iams and Eukanuba, Royal Canin, Supercoat, Pro Plan. Bedding, Carriers, Collars & Leads, Doors, Feeding, Food, Grooming, Litter, Medication, Scratching Pole, Toys, Misc. Products. We're not just the best Aussie reptile store, we also sell dogs, rodents, rabbits, birds and other native animals too! We've always got a large stock of animals at the store, all eager to be snuggled and find new loving homes! Along with our animal selection, we also sell a massive range... and we mean massive... of beds, cages, leads, food and accessories needed to care for your animal correctly. We stock Royal Canin, Science Diet and Advance dog and cat food. dog cat bird fish small animals reptiles accessories farm animal native food An enormous variety of Pythons including various varieties of Carpet (Coastals, Jungles, North West, Inland), Scrub and Water Pythons, Womas, Black-Headed, Children's, Spotted, Large Blotched, Centralian, Diamond and Olive Pythons. Green tree pythons, Elapids, Colubrids, Dragons, Monitors, Skinks, Frogs, Turtles and Geckos. Wholesalers to the Reptile Industry. We ship Nation Wide. Cat Poles: now stocking Snooza cat poles as well as locally made carpet-covered scratcher posts with platforms and sisal posts. 2012 Dog & Cat Calendars - order Brown Trout calendars now for pickup in December. Catalogue in store - come in and make your choice. We offer a huge range, with over 25,000 products in store, and an experienced team on hand to give you expert advice. Lowest Prices on the Northern Beaches Guaranteed! Need a wash and tidy for your four legged friend this summer or a traditional clip? At PetO, our Award winning Dog Stylist, Nadia, is here for all your dog and cat’s grooming needs. Free nail cutting for all dogs! Contact us to make an appointment. Prefer to take matters into your own hands? Visit our DIY dog wash where you can enjoy washing your pet in a fresh, clean environment, knowing they are in safe hands – it will get your dog’s tail wagging! The perfect way to a clean and happy pet! Are you in need a Vet? Well now PetO has a state-of-the-art veterinary hospital in their Brookvale store – Animal Medical Services. Resident vet, Milan, brings 15 years of experience as a veterinary surgeon, working with all animals – not just cats and dogs. He gained invaluable experience during his time at the RSPCA, Emergency Animal Specialist Referral hospital and has completed numerous professional development courses. Sydney Pets and Reptile World are a pet superstore located in Sydney Markets Plaza. We sell a large range of Pet supplies and cages for Dogs, Cats, Birds, Small Animals and Reptiles as well as a large range of Aquariums, Starter Kits, Freshwater and Marine Fish and premium Aquarium Supplies. We are open 7 days. Please visit our website for more details.- www.sydneydiscusworld.com.au. Subscribe to our free newsletter from our website to receive Specials,Tips and News to your email. Come and visit our store and meet our friendly sales staff who will answer all your pet queries. We are here to help you make pet-keeping that much easier and enjoyable! The Finest Fresh Food and all your Pets Needs are catered for at Pet Cafe Cleveland! Hydrobath service available every Sunday 9am till 2pm! Come in and meet our friendly staff! We can offer you great service and advice! Pet Superstore Capalaba and Stafford were established over 12 years ago as a one stop shop for pets and everything for pets. A Family owned business we pride ourselves in our passion and knowledge of all family pets large or small. At the Pet superstore we try to create a shopping experience by having large aquarium and reptile display’s and a huge range at competitive prices. Recently we helped to create an all Australian buying group called INDEPET (with other good independent Pet Stores), ensuring our prices remain amongst the lowest in the market. Our staff are experienced and trained in all the products we sell, and offer service and knowledge benefiting the love for your family pets. Is you Dog or Cat suffering ?? Specializing in post operative recovery, muscle ligament damage , stressful behaviour , obesity , itchy skin, massage and nutrition therapy works . Contact Paws "N" Claws Natural Therapies located inhouse! Founded in 2002 in Medowie NSW, Medowie Pet and Produce leads the market in providing all natural high-quality, affordable pet supplies. Staff include Elite level Professional Showjumper, Natural Horsemanship Trainer and Coach, Barefoot Trimmer, Canine Expert and Breeder, Myofunctional Massage Therapist and Nutritionist, Poultry breeder. All staff are committed to providing the best service for all animals and birds in the most natural way possible. We stock a wide range of Cat Foods. Online Retailer of all cat food and accessories to satisfy even the most fussy cat. *There are currently 797 people online.